The Slovenian Government has issued a Decree which will serve as the basis of Divača – Koper concession contract with the state-owned TDK2 company. Under the regulation, the concession contract will be awarded for 45 years. The most important content of the concession Act is the distribution of risks between the state and the concessionaire (TDK2), the holder of concession and formal investor, during the construction and operation. Risks are basically taken by 2TDK who builds the 27-km second track and ensures its completion, while the state will assume the risks only in exceptional cases and up to the limit set in the decree. 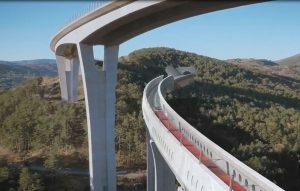 After the construction works, 2TDK, as the owner of the line, will be responsible to make it accessible and will cover the costs of the infrastructure manager SŽ-Infrastruktura. It will also conclude a contract based on mutual rights and obligations. To ensure track’s accessibility, 2TDK will receive monthly payment from the state to pay the loans used to build the new track and to cover company’s operating costs. The Ministry of Infrastructure is in charge of supervising the concession, which will have an option of outsourcing certain tasks. Once the concession expires, 2TDK will have to hand over the infrastructure related to the second track to the state and the transfer will be free of charge. If it happens earlier, the state will pay 2TDK a sum to repay the loans and to finance the company’s costs until it is liquidated. This Decree is another needed key document for the Divača – Koper railway project. In 2018, Act Regulating the Construction, Operation and Management was published, allowing the launch of the construction works. The project’s costs are estimated at EUR 1 billion. Last year, INEA allotted a EUR 109 million grant, under 2017 CEF Transport Blending call for proposals. This year, the European Investment Bank announced the appraisal of the project, with a EUR 250 million proposed financing. The project is scheduled to be completed in 6 years.